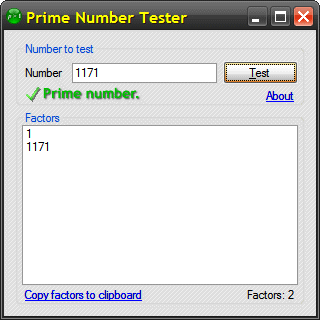 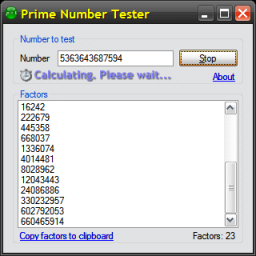 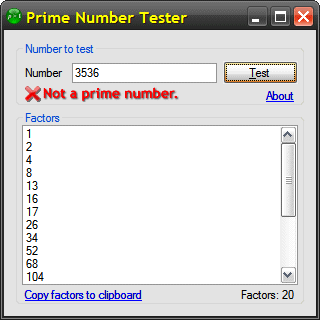 This program will test if a given whole number is prime, and by option factorise it too. 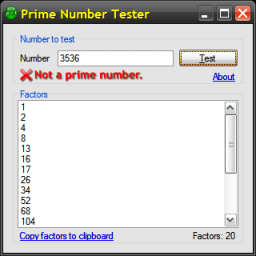 Page last updated Wednesday, 27th October 2010 at 11:33 AM, executed in 0.239 seconds using 10 queries. It has been viewed 91,601 time(s).